Here at Dynamic Smile Design, we pride ourselves on being up to date with the latest breakthroughs in dental technology. We use state of the art equipment and tools to ensure that our patients receive the top quality care they deserve. So when it comes to any of our services, including basic care, restorative care and cosmetic dentistry, Orlando gets some of the best dental work done right here. One of the most common concerns many of our patients have is the proper alignment of their teeth. Most people’s teeth aren’t naturally straight, and misaligned teeth can cause a lot of problems, especially in teenagers and young adults. While traditional metal braces are the go-to for many people, we offer an innovative, attractive way to straighten teeth, called Invisalign. Invisalign is a whole new take on braces. Whereas metal braces straighten by the use of brackets which are cemented to the teeth for many months, Invisalign is a set of clear, comfortable plastic trays which are fully removable and are replaced, a set at a time, as the teeth gently shift into alignment. Molds are taken of the teeth before the trays are created, so that they can be made to fit exactly and comfortably. These molds are adjusted a little at a time, so that each time you switch to your new trays, the teeth can move just a little more in the right direction. Once the teeth are in place, you can continue using clear aligners at night to retain your perfect alignment indefinitely. 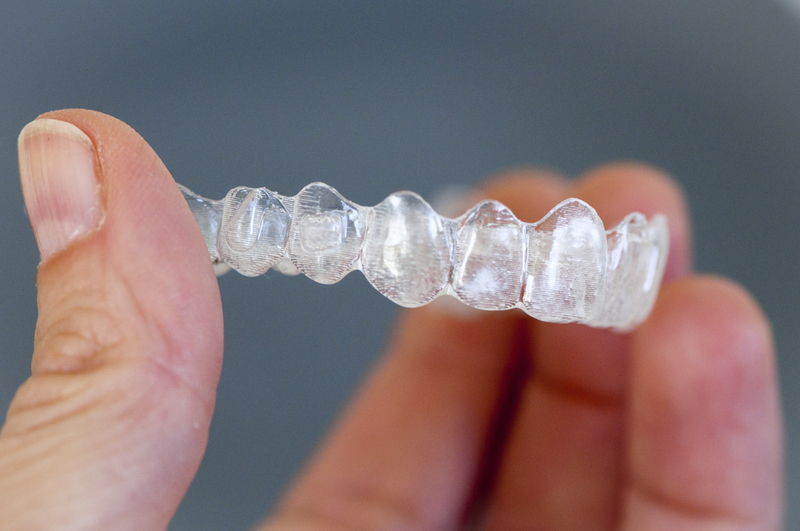 Invisalign aligners offer so many important benefits. Many of our patients have found the process to be virtually painless. Once the teeth are nice and straight, cleaning and maintaining them is easier. The risks of bone and gum tissue damage are decreased and your overall dental health is improved. Invisalign takes much less time than traditional braces—in some cases, as little as one fifth of the time. Many people find that when their smile is beautiful, their confidence increases. Increased confidence leads to greater success at school, work, and in relationships of all kinds—so Invisalign really can change your life. But you don’t want just anyone handling your teeth. Dr. Puig is one of the best dentists Orlando has. Contact Dynamic Smile Design today for an appointment. We look forward to working with you, discussing your options, and showing you how a beautiful smile can improve your health and your life.